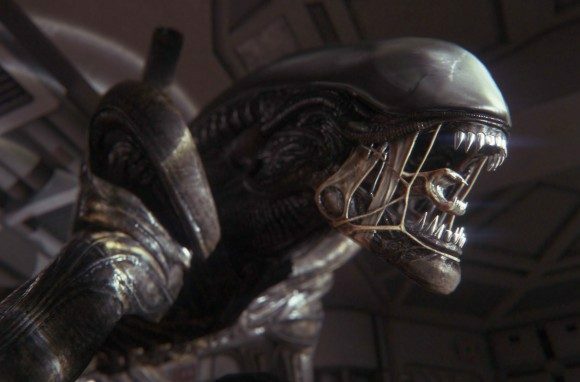 Alien Isolation has certainly proven itself to be the savior of the Alien franchise, as evidenced by strong fan reception and strong sales. Today, developer Creative Assembly released the second of five DLC packs for the game, this one titled ‘Trauma’. The first DLC pack, which dropped last month, was titled ‘Corporate Lockdown’ and allowed players to get through three all new levels while assuming the role of Seegson executive Ransome. This second pack, just released today, allows players to assume the role of Lingard, one of the doctors on Sevastopol Station. Given her profession, the three missions, Reoperation, Crawl Space and Overrun, include the mission objective for Lingard to collect medical supplies while making her escape. Of course, like the previous DLC pack, ‘Trauma’ also allows you to play the missions as Amanda Ripley, Ellen Ripley, or Dallas. The three new missions bring additional flavor to Isolation‘s Survivor Mode. For example, Crawl Space features no alien creature, but instead throws hordes of facehuggers and a pair of advanced synthetics at you. The Reoperation map is standard Alien Isolation fare, but its huge size and abundance of air vents make it one of the toughest maps so far. With ‘Trauma’ now out, Creative Assembly now have three remaining packs to put out, which they will do so once per month until March. Although unconfirmed, it is speculated that these three remaining DLC will have you play as Hughes, Axel, and Ricardo. Unlike Ransome and Lingard, these three characters can be encountered in Isolation‘s main campaign.